[2016 Dec] NICU Nurse with 30 Years Experience Quits Over Premature Infants Being Harmed by Vaccines https://youtu.be/84f5VEkMiYw The VAXXED/ Vaxxed film crew recently interviewed a nurse in California who has worked as a NICU nurse for nearly 30 years. She states in the interview that she is retiring early, because she can “no longer do what we were taught to do.” She goes on to state that her philosophy on vaccines has changed, because she does not believe they are safe. 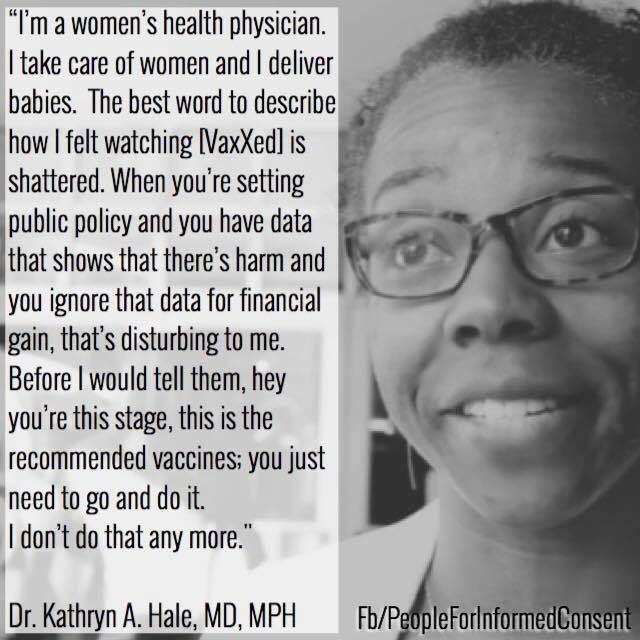 She explains how it is routine to vaccinate premature infants, and that even though she brought in documentation, including medical journal studies, explaining that they should not be vaccinating these premature infants, that doctors will not change the procedure. So she decided to retire early, rather than continue harming these vulnerable babies. 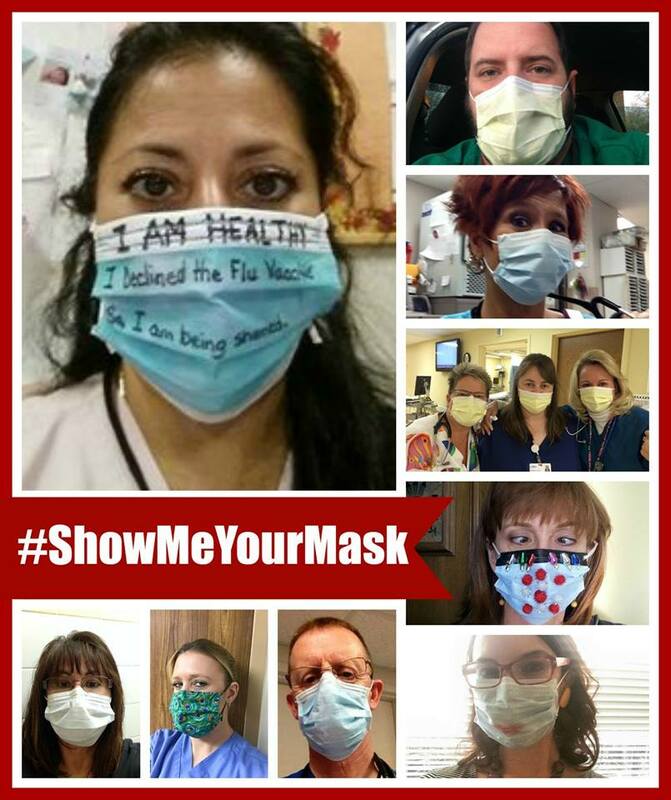 A Nurse's Story ~ "I have seen the cover up." For all the cases I've seen, I have NEVER seen any medical provider report them to VAERS. I have filed VAERS reports. But I am the ONLY nurse I have EVER met that files VAERS reports. I also have NEVER met a doctor that filed a VAERS report.....The number one place parents bring their kids in the event of a vaccine reaction is the E.R., and as an E.R. staffer, I have NEVER met anyone who filed one, in spite of seeing hundreds of cases of obvious vaccine associated harm come through. What does that say about reported numbers? The CDC/HHS admits that VAERS is under-reported, and probably only representative of 1/10th the actual number of injuries. I contest that, and from personal experience, I would say the numbers in VAERS are more like 1/1000th the actual numbers, not 1/10th. [2012 Nov] Health care workers are refusing flu vaccinations and hesitant to offer them Some health workers in Switzerland are refusing to get vaccinated against current influenza strains and are hesitant to offer the vaccine to patients. A study led by Geneva's teaching hospitals last year showed that many health care personnel thought of seasonal flu as "a benign disease not really requiring any special [prevention] effort." A Swiss-German gynecologist explained to Swissinfo.ch that he refuses to vaccinate pregnant women against the flu, as ordered by the Federal Office of Public Health, “because we cannot rule out the risk of resulting fetal abnormalities”. 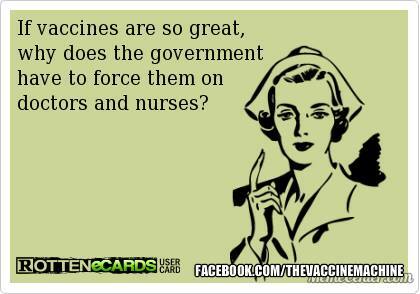 [2012 March] Peer Reviewed Study: Why are Nurses becoming Anti-vaccinists? Research at two Liverpool hospitals found less than 8% of healthcare workers had annual jabs. [Jan 2003] "Nurses Urged to Refuse Vaccinations"